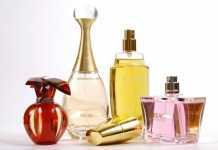 Accessorize presents their first fragrance, which will carry the same name as the brand. The design and composition were made under the influence of art of the Japanese artist Kitagawa Utamaro. The composition combines elegant and refined floral motifs in eastern style. The package is also quite Asian – strict and poetic. 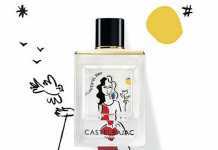 Naturally, the designers used Kitagawa Utamaro‘s works in the design. 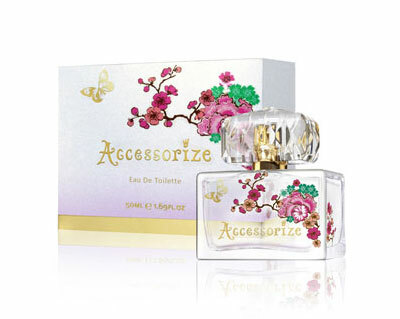 The base of Accessorize’s newest composition is made with notes of bergamot, orange blossom, lychee, tangerine flowers, jasmine, cherry blossoms, peonies, balsam, black currant, violets, roses, crystal musk, vanilla and cream amber flowers. Source of the image: monsoon.co.uk.